Yesterday's post showed a cool way of using the Lattice die on a card, and today we're moving on to a different use for it! 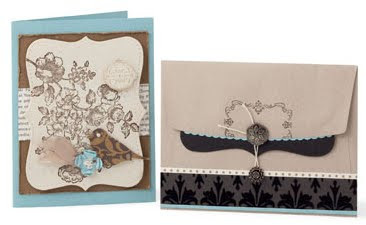 Layer our Lattice Bigz Die over card stock in tone-on-tone style for a subtle but elegant look. 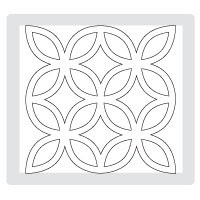 This die was designed as a repeatable image, allowing you to create beautiful designs on larger projects as well. Die size: 5-1/2" x 6". For a subtly stamped image, try stamping once with the full ink and then stamping again on your card. You’ll achieve a watermarked image just like with the vintage typewriter shown on this mini card. Give your cards an extra bit of lift! 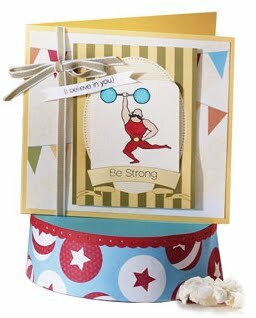 Give your handmade cards the attention they deserve with card stands made with Designer Series Paper from the Big Top product suite! 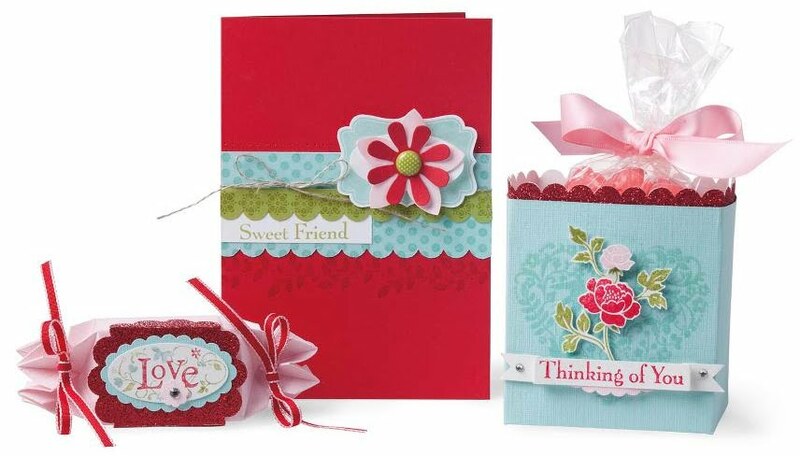 In this case, Tempting Turquoise 12 X 12 Smooth Card Stock is used as the base with the Big Top Birthday Designer Series Paper covering the front, and a strip of Real Red 12X12 Textured Card Stock was altered with the Dotted Scallop Ribbon Border Punch and added along the top seam. This suite has beautifully coordinated Designer papers (both real and digital), stamp sets, regular and Jumbo wheels, matching buttons, an Accents kit and even a coordinating Textured Impressions folder for the Big Shot machine. Be sure to check it and many of our other product suites out in my Online Store - these suites were specially designed to group products together to maximize their value in coordinating! 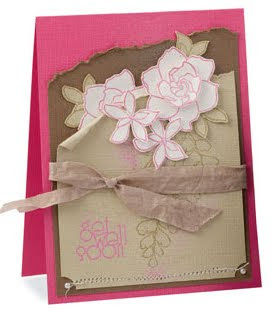 You can add a natural look to this card by using the Woodgrain Background Stamp as the background for the stamped sentiment (click on image to enlarge and see detail). The animal set Zoo Review gives you an easy way to capture the magic of the wild with these beautifully drawn line-art images. 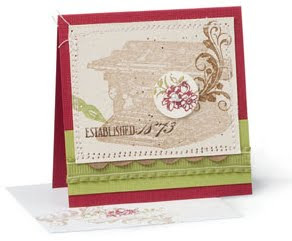 Our beautiful matching envelopes feature Stampin' Up! 's signature rounded flap to give your creations a softer finish. Look at how the antique brads were added to create a different closure. These brads are a quick way to add a vintage look, with each brad designed to look like a vintage metal button. I love how Stampin' Up! has been spreading the love all across the globe. Did you know that we have demonstrators in England, France, Germany, Australia and New Zealand, just to name a few countries? These itty bitty clothespins are so much fun to use as an accessory, and they don't take up as much bulk as you might think. 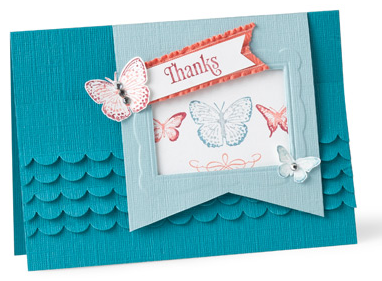 Don't forget that you can pair ribbon and strips of card stock back-to-back for a simple yet striking border on your cards. 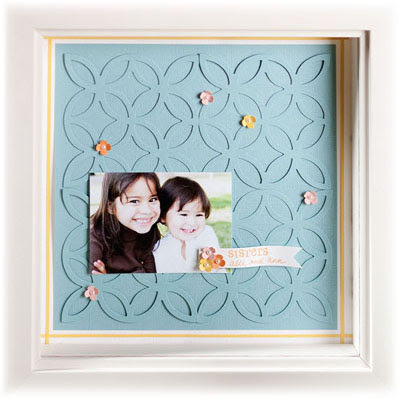 Stamp images often inspire creative gift ideas like with this Tears 3-D project. 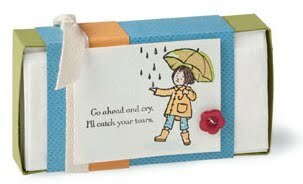 The little girl umbrella image in the Lean on Me Stamp Set was the inspiration to create this cute tissue box. With a handmade gift like this she’ll definitely be feeling better soon! 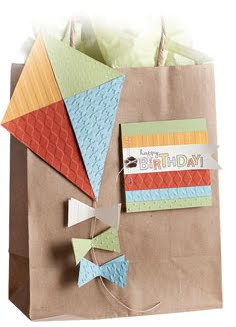 Textured Impressions Embossing Folders and Texturz Plates were used to create the colorful kite and festive card in this delightfully light-hearted Happy Birthday 3-D project! The addition of our 1/2" Seam Binding Ribbon adds a hint of rustic flair to any project, instantly giving you that coveted vintage look! If you are anything like me and tend to have Facebook running most of the day long, you definitely want to like/subscribe to some of these pages! Craftin' Caro - my biz page! Ah, I love easel cards! 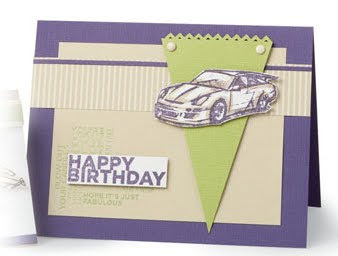 I've created many in my day and they're just such a fun and neat twist on the classic card to send. 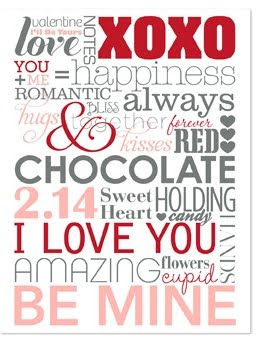 Sentiments like these never go out of style! Elegant butterfly images are reminiscent of nineteenth century scientific illustrations, giving you that coveted vintage look. Butterflies are also a wonderful image for conveying support when friends are going through a hard time. 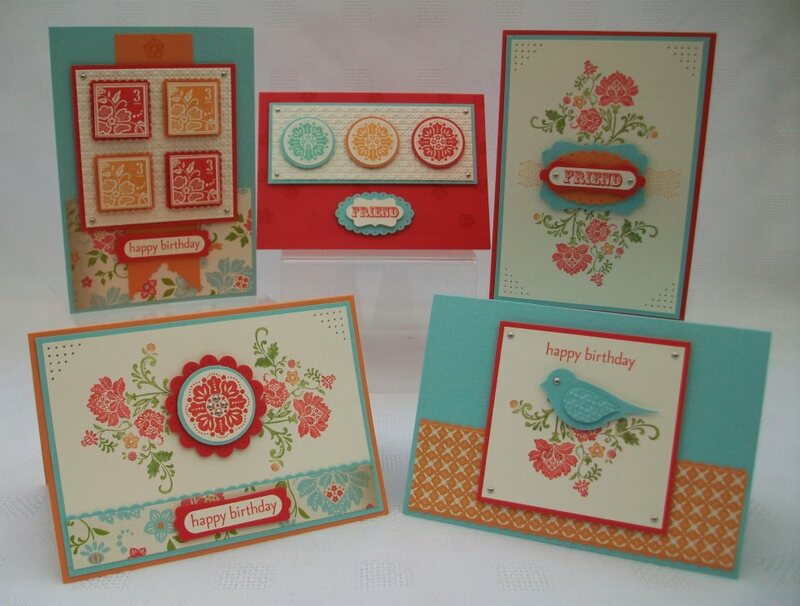 You can get this set of 5 stamps FREE with a $60 purchase during Sale-A-Bration, in either wood or clear-mount. This cold weather is perfect for cosying up with a loved one isn’t it? 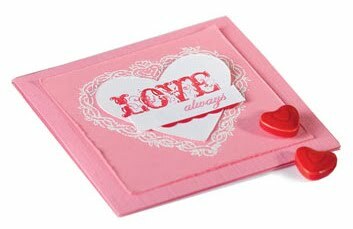 It’s not too late to make handmade cards or treat for someone special in your life. Here’s a card & two treat ideas I’d like to share in case you’re in need of some last minute creative inspiration, all using the You Are Loved stamp set and the Big Shot machine. Sigh....how did I ever craft without mine?!? 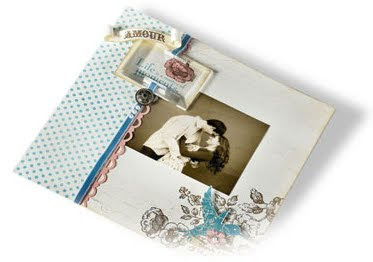 Create a customized Valentine's card for your loved one by incorporating a romantic picture of the two of you together on it. Use our Beveled Windowpanes to create a striking focal point, and highlight your important sentiments -- like was done on this card! These 55 embellishments will make your projects burst with bright delight! 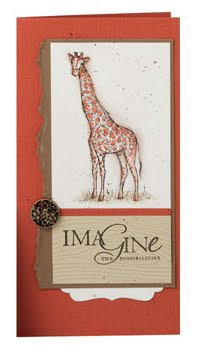 They’re perfect for fun, summer designs as well as any LOVE project you might need to get done (hint hint hint). 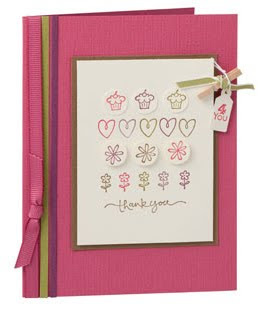 Use them with the Trendy Trees and Good Friend Stamp Brush Sets for ultimate coordination. Coordinating colours include Chocolate Chip, Kiwi Kiss, Rose Red, and Tangerine Tango. Yes, Valentine's Day is ALMOST here and maybe you are freaking out that you have no appropriate stamps to use to make the perfect card. Here comes the Be Mine Framable Designer Template, perfect to whip something up in record time! 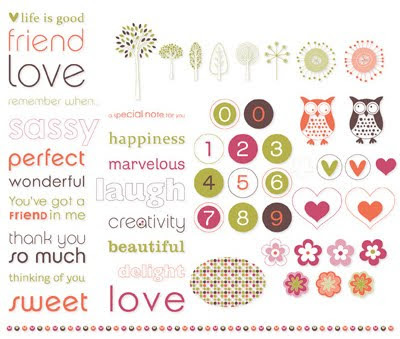 Share your love with a creative personal note — Stampin' Up! offers a variety of image styles, from cute to detailed to contemporary, something to suit your every need!